Good morning again happy people! If you missed it earlier, Tiddly Inks has a new challenge up, you can view that here. Ready to meet a new Fairy friend?? 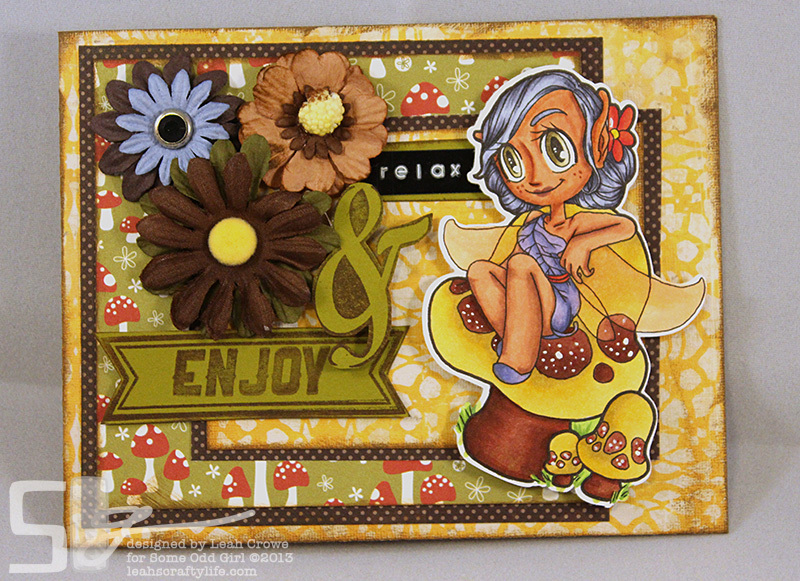 I'm excited to share with you, Relax Fairy!! hugs hugs, see you tomorrow! She is the "coolest" of the fairies, all lounged out on her mushroom! lol! Love how you colored her, she's awesome! Super cute card, love it! The mushrooms are so adorable! Leah - she is so cute! She is on the schedule to use Sammi's tutorial with the Cameo. Oh, yeah - made a trip to the shop!!! Love love love this! LOVING that fairy, the flowers and love love love the mushrooms! !